* PLEASE NOTE: Now in stock. 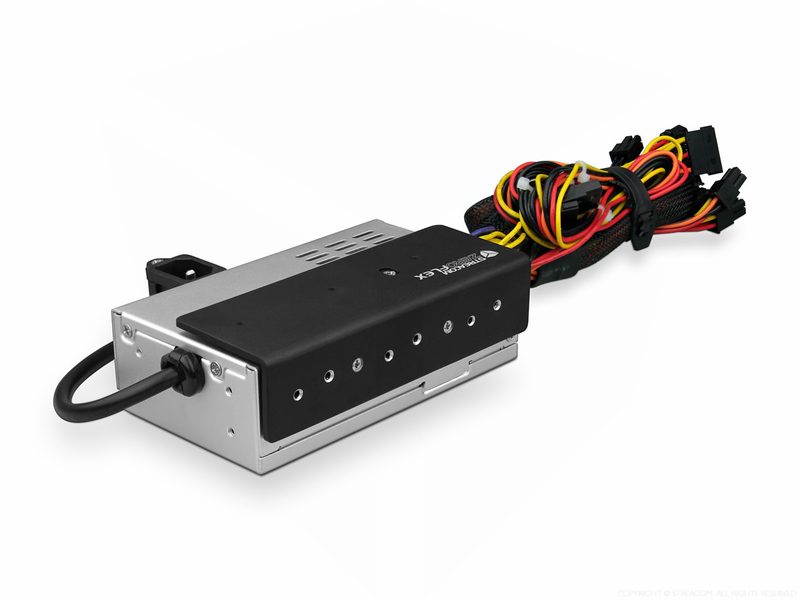 The ZF240 is compatible with the Streacom FC5 Evo, FC9 and FC10 and will remove the need for an external power supply while increasing the maximum power available to components. Encased in an all aluminum enclosure which is based on the Flex form factor (81.5×41.5x150mm), the ZeroFlex can deliver 240W of combined power without the need for any active cooling. This has been achieved by the use of high quality components and innovative circuit design which achieves >93% efficiency levels. 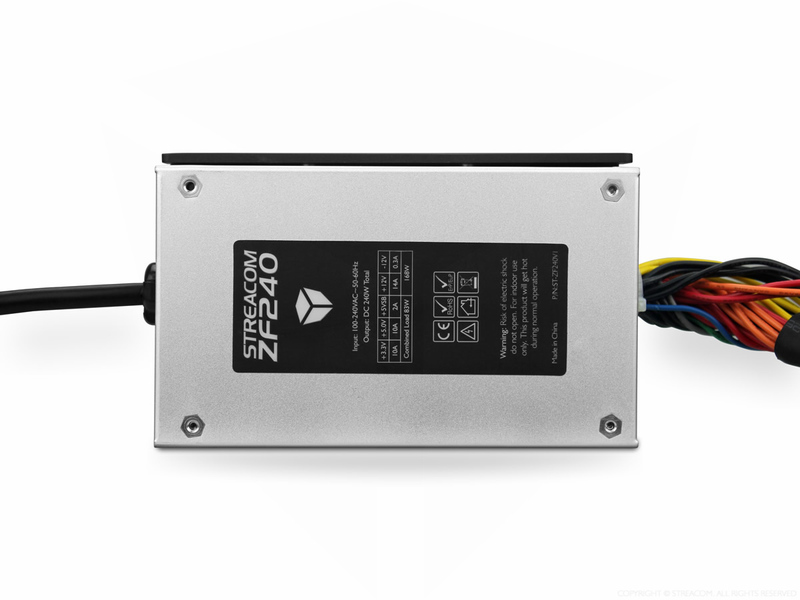 To put things in perspective, if the ZF240 was actively cooled, it would be rated as a 450W power supply. F1C, F7C and FC8 - The Streacom ZF240 PSU is not compatible with these cases. 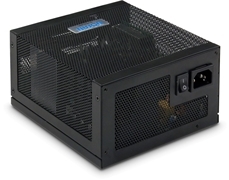 Consider he NANO 150W PSU. 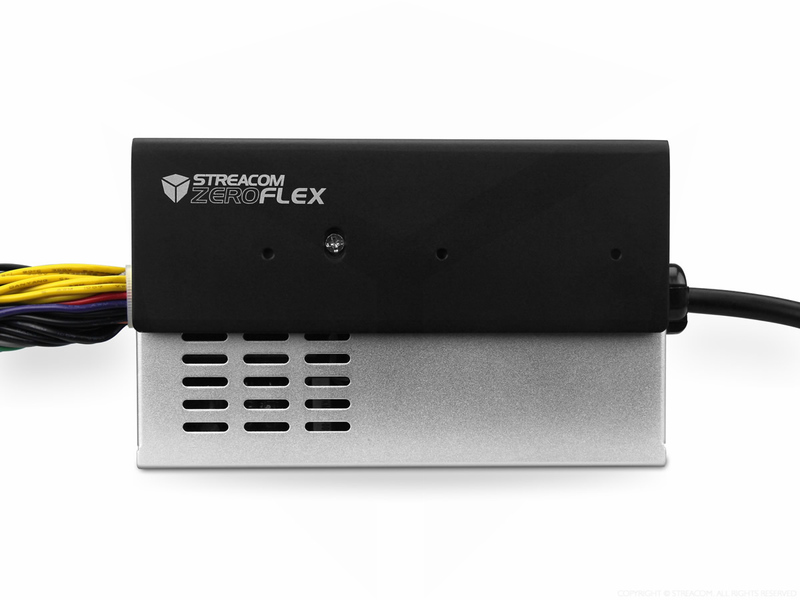 FC5 - When installing Streacom’s 240W PSU into an FC5 chassis, the maximum sized motherboard that can be used is Micro-ATX. 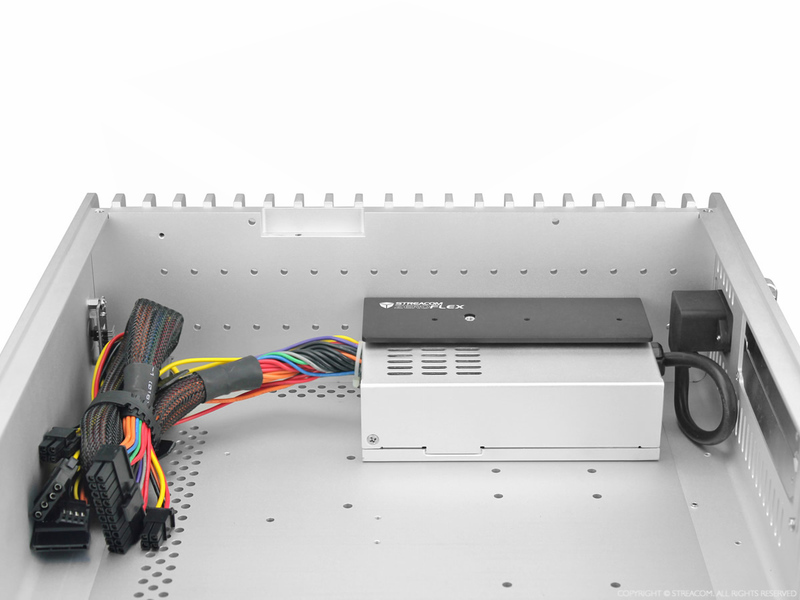 The PSU sits to the right of the chassis and this is also the location where a 3.5" hard drive can be installed. Therefore, if a 3.5" hard drive is to be installed, the 240W PSU is not compatible unless the motherboard is Mini-ITX. In that case, you can install up to two 3.5" hard drives towards the front of the chassis. Please see the FC5 product page that details this information. FC9 -The FC9 is designed to accommodate motherboards up Micro-ATX, but if the 240W PSU is used the maximum size is Mini-ITX. This is because the FC9 is not wide enough to accommodate a Micro ATX motherboard and the 240W PSU. 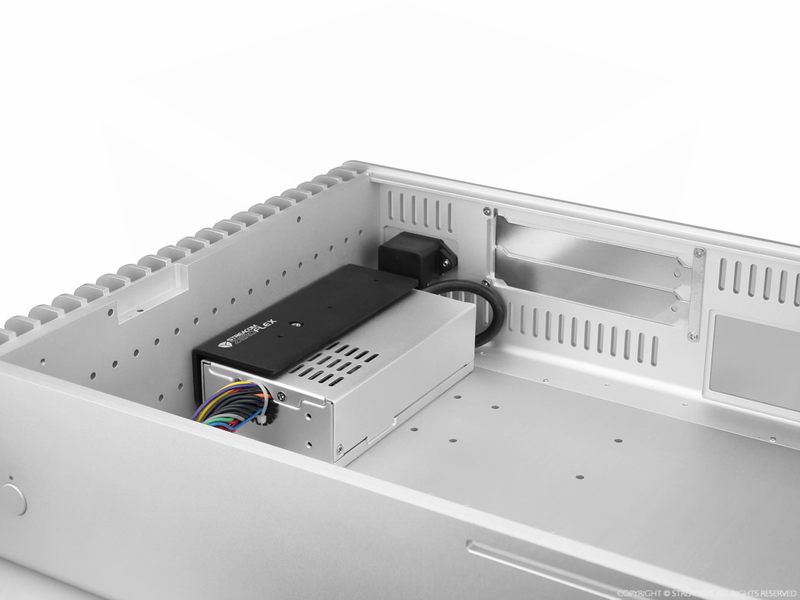 There are no hard drive restrictions with this chassis due to them being installed onto the tray of the FC9. 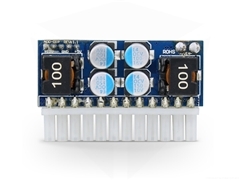 FC10 - The FC10 is designed to accommodate Mini-ITX and Micro-ATX motherboards but if the 240W PSU is installed then a Mini-ITX motherboard must be used. This is because the FC10 is not wide enough to accommodate both a Micro-ATX motherboard and the 240W PSU. 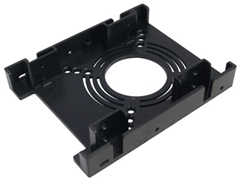 There are no hard drive restrictions with this chassis due to them being installed onto the tray of the FC10. 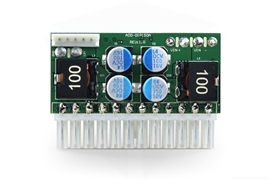 See more detailed information in the ZF240 User Guide.